I'm into rings these days. I misplaced a whole bunch of them over the holidays and my bare fingers are just begging for new ones... 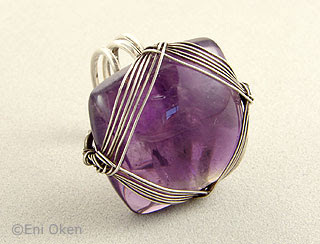 Here is just one of the styles I've been working on. 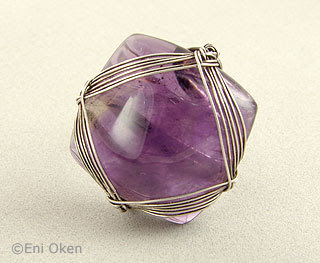 Sterling silver and amethyst cushion cab. 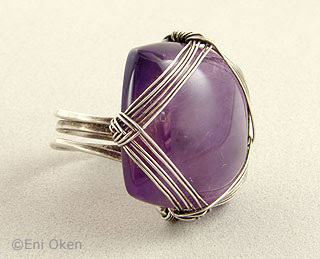 The shank was made with 20 ga wire. 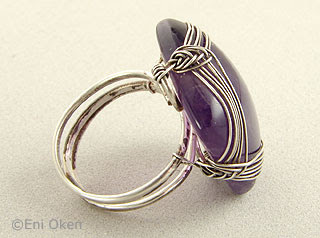 The stone is attached to the shank with a modified herringbone pattern.